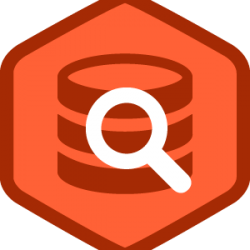 Our SQL Fundamentals is a great course if you are new to SQL and want to learn it from the ground up. We teach you all the basics of relational database theory and then advanced to SQL and querying large database systems. Our SQL Training Courses in central London are a great way to get quality hands on SQL training in a structured way. Our courses are run over 2 days midweek and on the weekends. We offer two levels, SQL Fundamentals and SQL Advanced Course. If you work on large projects that use databases or data warehouse then this course is perfect for you. We use MS SQL Server although all the techniques taught are applicable for Oracle, PL SQL , MySQL or any other relational database system. As a totally non-technical BA this was a great course for me to expand my domain knowledge. I really wanted to do a SQL course so I could understand databases and how data is stored. I learnt a lot from this course in London, it was ideal for a beginner looking to learn SQL querying. I have worked with databases in work for a while now and really wanted to be able to extract data faster in Access. Writing SQL scripts is so much faster than creating queries in Access. This SQL Course London taught me a lot and I feel a lot more confident with databases and writing SQL queries. Thoroughly enjoyed my SQL course with Knowledge Tree, The teacher was a real SQL expert and gave us lots of practical examples and exercises to do. It was a great course and a great venue. A lot nicer than some other places I’ve had training in.